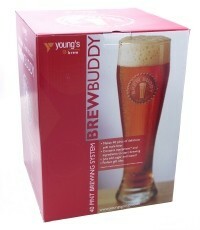 A starter kit for the beer enthusiast. Comes complete with equipment and ingredients to make 40 pints of fantastic bitter.NOW includes BREWING SUGAR & BEERMAKERS PADDLE !! !Presentation box no longer available. Once you have made your bitter, the equipment can then be used to make either the bitter, lager or cider refill kits.